Graphene is simultaneously the most durable, light and an electrically conductive carbon material. It can be used for manufacturing solar batteries, smartphone screens, thin and flexible electronics, and even in water filters since graphene films pass water molecules and stop all other compounds. Graphene should be integrated into complex structures to be used successfully. However, it is a challenge to do that. According to scientists, graphene itself is stable enough and reacts poorly with other compounds. In order to make it react with other elements, i.e. to modify it, graphene is usually at least partially destroyed. This modification degrades the properties of the materials obtained. Professor Raul D. Rodriguez from the Research School for Chemistry & Applied Biomedical Sciences says: 'When functionalizing graphene, you should be very careful. 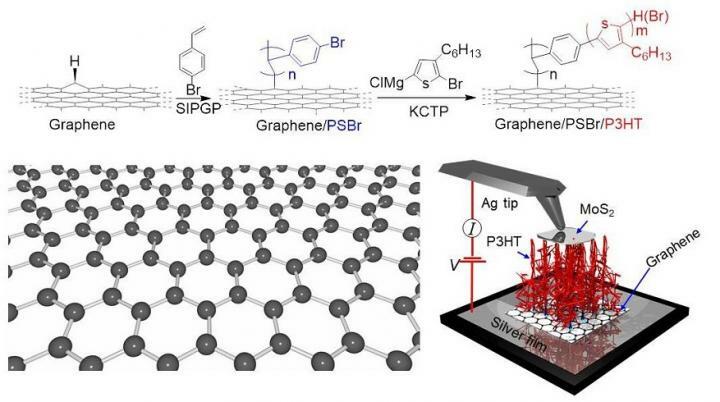 If you overdo it, the unique properties of graphene are lost. Therefore, we decided to follow a different path.